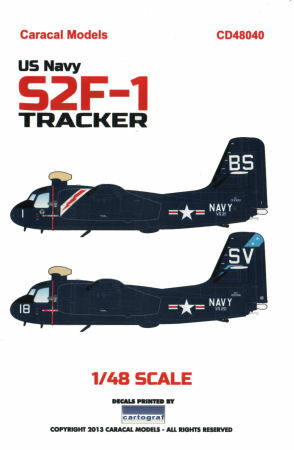 Here is the latest release from Caracal Models just in time for the new Kinetic 1/48 S2F-1 Tracker kit. 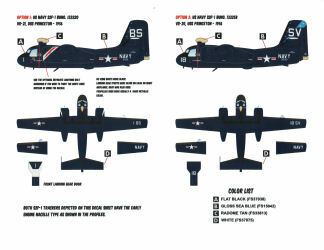 This set provides two early overall Dark Sea Blue examples wearing distinctive unit markings. 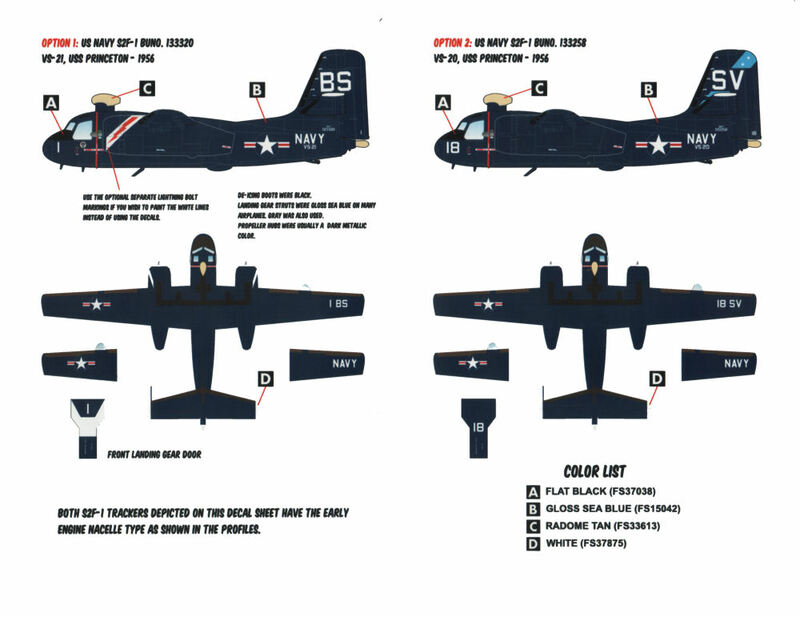 The markings are nicely printed (by Cartograf) and provide national markings, distinctive tail art markings as well as a nice set of airframe stencils. 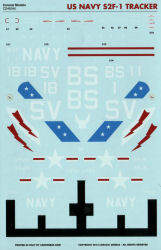 The decals are all single-layer - none of them require you to stack one decal atop another to recreate complex art as with some other decal manufacturers.